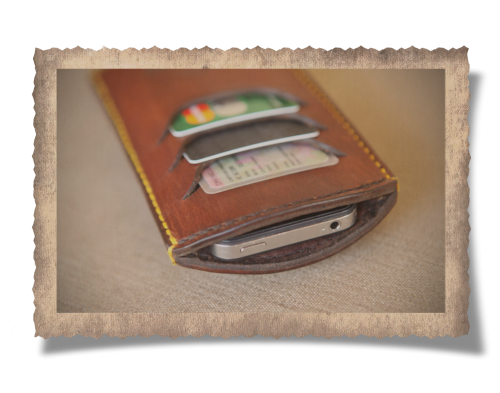 The inside of the Men's Wallet is lined with heavy suede to protect your phone from scratching. It will also provide protection against the odd bump or even when you drop your phone. 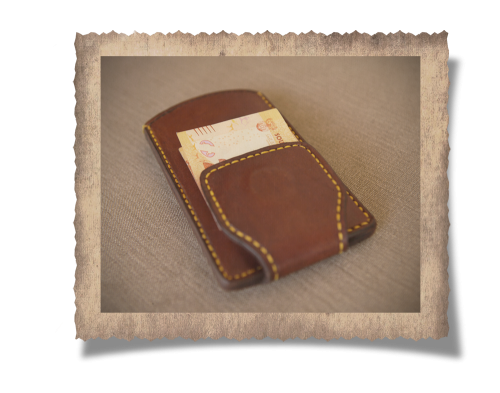 The versatile Witwatersrand Wallet I is made from only the best quality genuine leather. It takes care of your cash, your credit card, your drivers license and your telephone. extra days to complete your order. We will however keep you informed as to what is happening. To ensure that your money does not end up on the floor we use two very strong rare-earth magnets with a total pull over 30lbs. 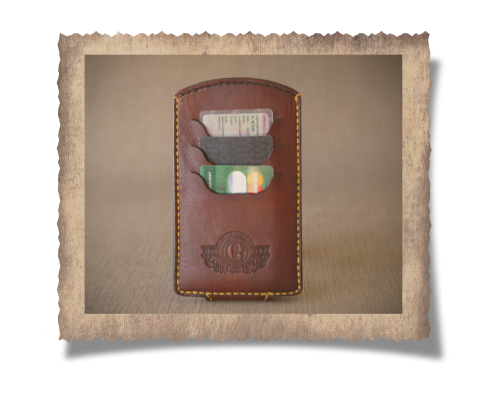 Two slots are cut into the leather, one for a credit card and the other for your drivers license. 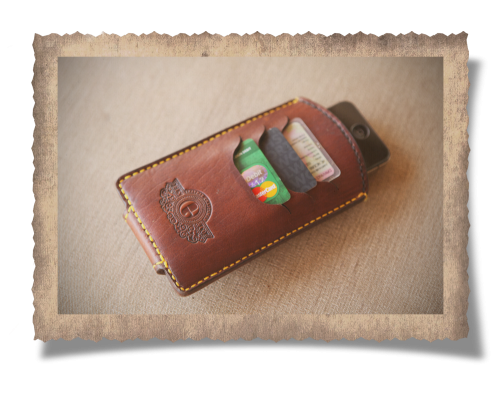 These are backed with suede to keep your cards in position and from scratching.